Hosted by award-winning beer and food writer Melissa Cole, chefs from across the country will be descending on The Red Lion to create the ultimate sausage roll. The judging panel will be Philip Howard [Elystan Street], Oliver Peyton OBE [Peyton and Byrne], Eric Lanlard [Master Patissier and owner of Cake Boy] and Kate Ovens [Presenter and man vs food challenges]. 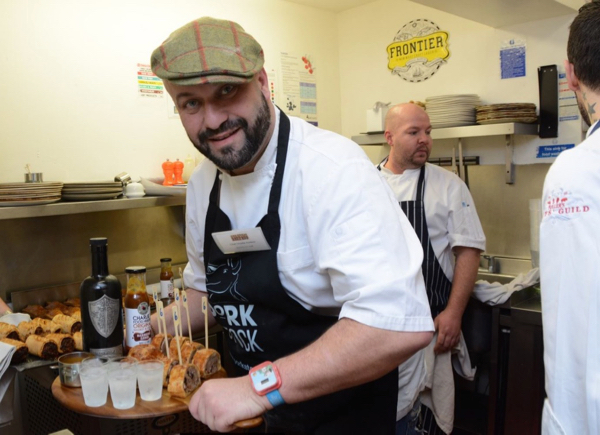 Last year’s competition was won by Charlie Hodson, Chef Director at Charlie’s Norfolk Food Heroes, with his sausage roll, called ‘From Norfolk with Love’, which celebrated the very best of Norfolk ingredients and paid homage to a British Classic.